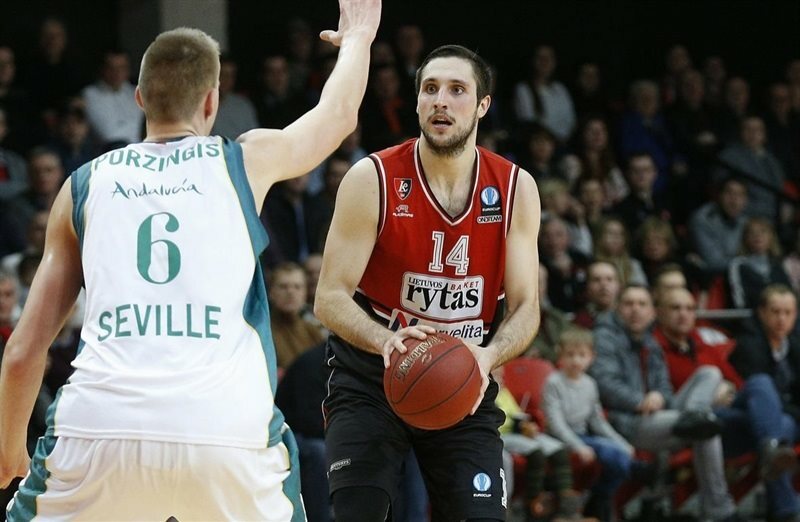 Lietuvos Rytas Vilnius strengthened its standing in the top half of Group L on Wednesday by taking off like a rocket to a resounding 100-78 home win over Baloncesto Seville. 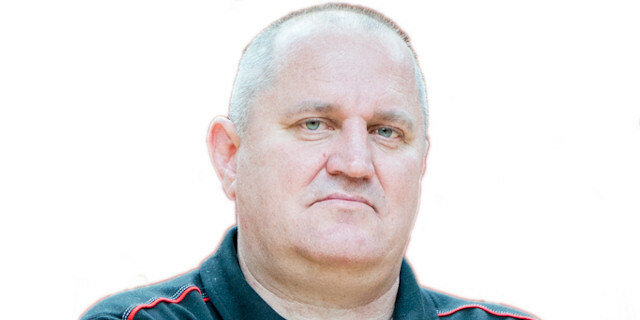 Rytas is now 2-1 in the group while Seville is winless after as many games. 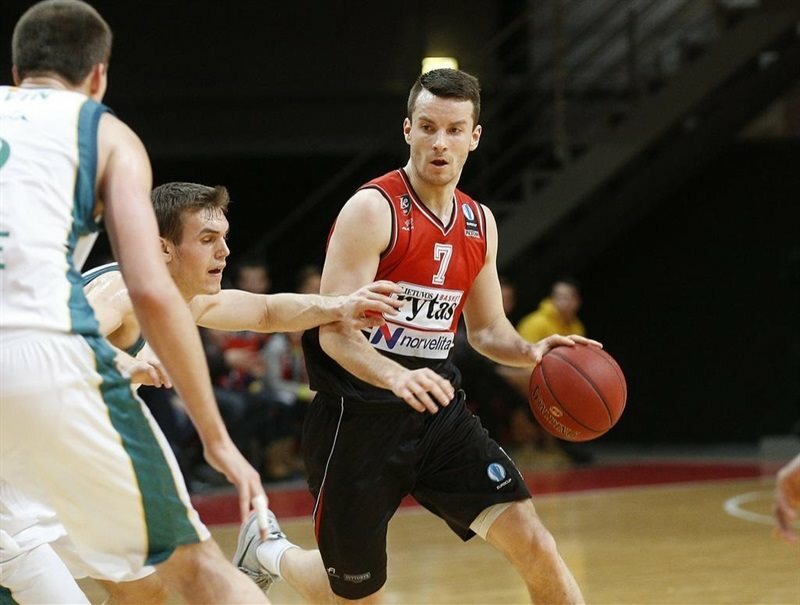 Martynas Gecevicius had one of his best games ever to lead the Rytas blowout, posting Eurocup career highs of 26 points, 7 three-pointers made, 7 rebounds and a performance index rating of 38 in 26 minutes played. Gecevicius also had 9 assists, his second-highest total after the 10 that he had recorded earlier this month in the first Last 32 round. 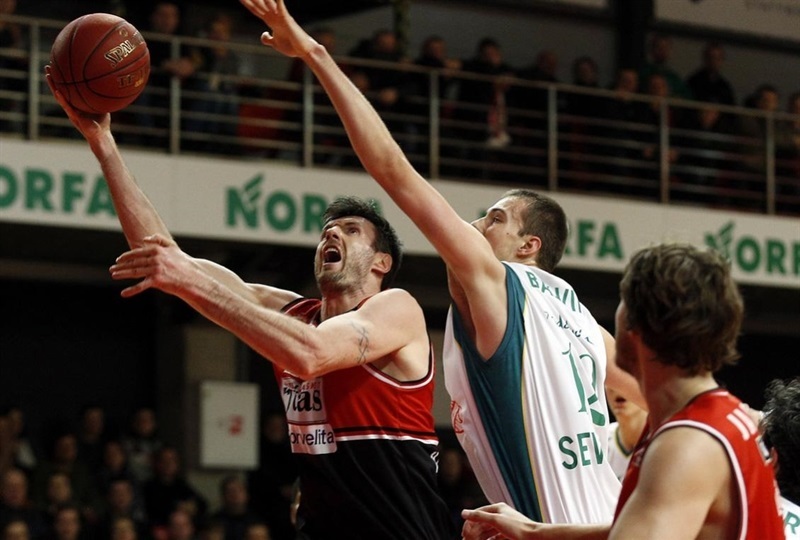 Ksistof Lavrinovic followed with 21 points for the winners while Gediminas Orelik pumped in 15 and Mike Moser 12. Seville got 18 points from Kristaps Porzingis and 10 from Derrick Byars, but otherwise could not keep up with the pace kept by Gecevicius and friends. Guillermo Hernangomez and Ben Woodside scored 4 points each as Seville shot 5 for 7 on the way to an early 7-10 lead. Gecevicius scored or assisted on his team's first 9 points, before Adas Juskevicius did the honors of putting Rytas ahead and Orelik upped the difference to 15-10. Berni Rodriguez helped Seville take the lead back at 18-19 before Ksistof Lavrinovic finished the first quarter with a triple to put Rytas back on top, 21-19. Two inside shots by Porzingis had Seville in front again, 21-23, to open the second quarter. Several ties ensued as Porzingis stayed strong and got the visitors up again with a three-point play at 28-31. 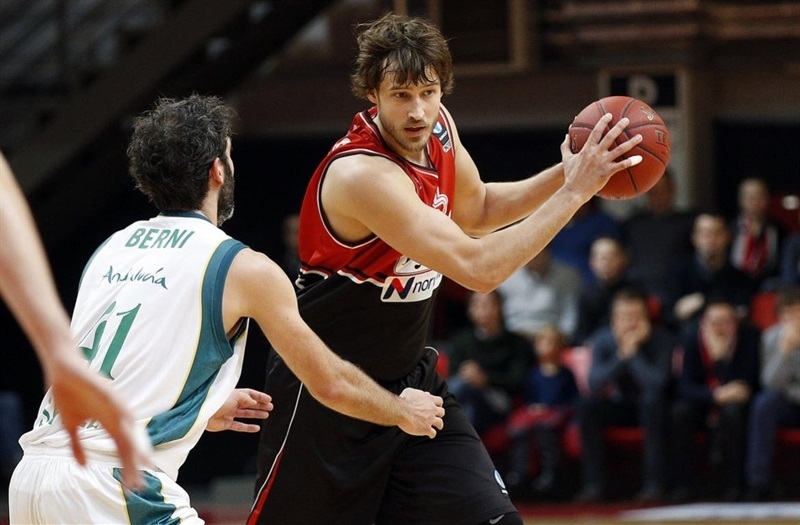 Simas Jasaitis then sparked a takeover by Rytas with 5 of his own points. Soon, Gecevicius added a four-point play to the run, which reached 15-2 and put the hosts in control, 43-33. Orelik and Gecevicius added back-to-back triples to put Rytas up even more, 53-40, at the half. Rytas resumed its torrid scoring after the break as Gecevicius, Orelik and Lavrinovic filled a 15-6 blast to a whopping 68-46 advantage. 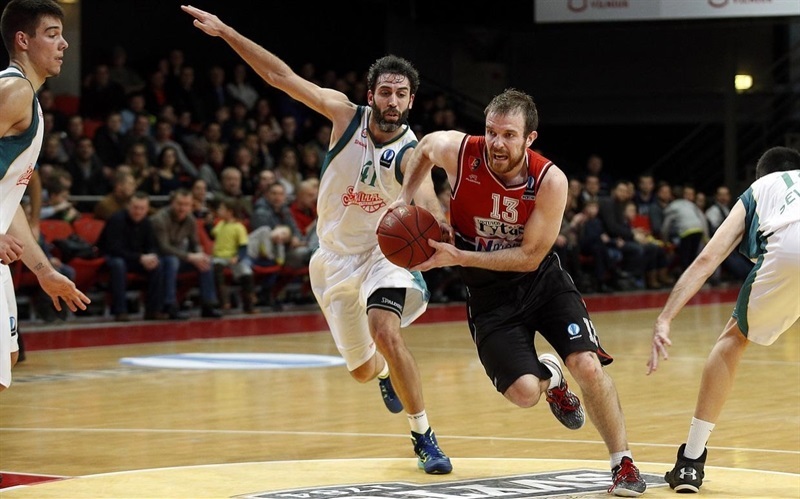 Gecevicius buried his sixth three-pointer to make it 73-50 as Seville struggled to do anything but get to the free throw line, where Xavier Thames went 4 for 4. 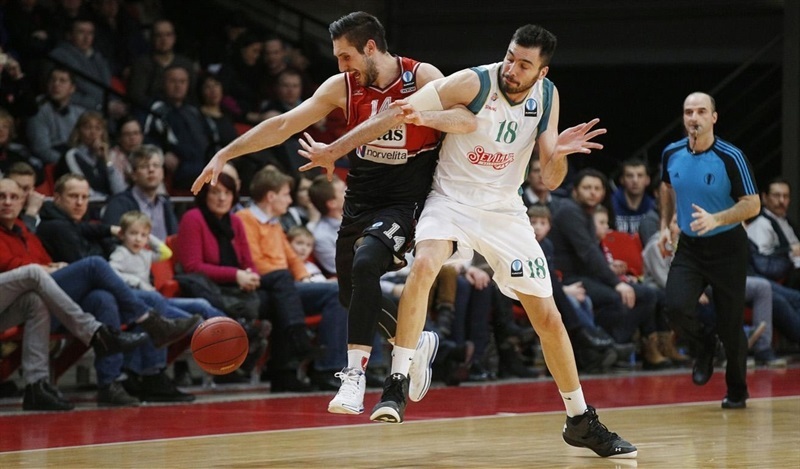 By the time he took a seat, Gecevicius was threatening a double-double with 23 points, 7 rebounds and 7 assists as Rytas coasted to an 83-59 advantage after three quarters. Moser ended a scoreless spell to start the final quarter with a shot from arc good for a new high lead, 86-59. Alex Urtasun and Hernangomez answered for Seville, but thanks to a Rytas defense that was as strong as its offense, the visitors were not scoring at any kind of rhythm to challenge the hosts. Rytas was content to trade points for a while before Derrick Byars helped Seville lower the difference to 92-75, prompting a Rytas timeout. Gecevicius and Orelik returned to protect the margin then. 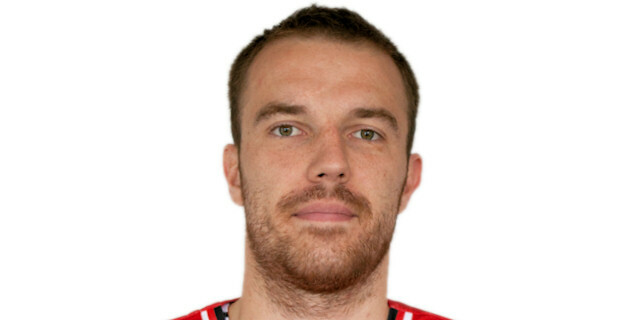 Gecevicius promptly fed Lavrinovic for one three-pointer and hit another himself. 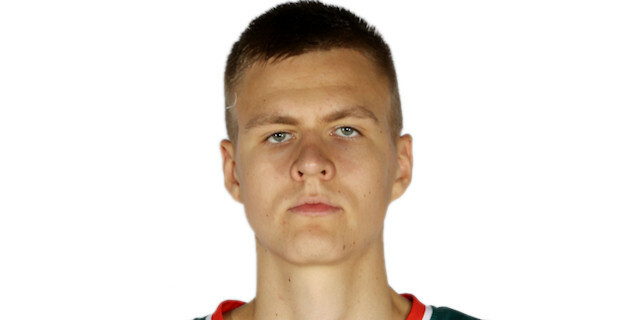 His next assist, to Mindaugas Lukauskis, made it 100-75 and positioned Rytas well on wins and points for a run at the next round.